Haikyuu!! is starting to fall into more of a rhythm now as the volleyball season starts in earnest. Karasuno has their first real match (even if it is just a practice match) against Aobajousai, a high school in their area with a highly-ranked team. The outcome is fairly low-impact: either Karasuno wins and their teamwork is bolstered and they are optimistic about the coming tournament or Karasuno loses and they’re no worse off, just more motivated to make a comeback later on. It then falls on the characters and their relationships to carry the interest of the viewer and keep them invested in the series. This is pulled off wonderfully – we already know Kageyama has a sore spot about his middle school team and his setting abilities, but with Aobajousai, we get a glimpse at the person partially responsible: his mentor and current setter for Aobajousai, Oikawa. Oikawa is highly confident and waltzes in at the last moment of the match that Karasuno is about to win and puts them completely on their toes. They win by a lucky break and Hinata’s athleticism, but there’s plenty of set-up for conflict and growth both before and during the inevitable rematch. The Aobajousai match also sets up the sports series constant of making sure you’re kind of rooting for the other teams as well – as much as you want to punch Oikawa’s face in, he’s pretty fun as a character. With their first match, many of Karasuno’s weaknesses are made clear, which is an easy lead-in to introduce more characters – a second year named Nishinoya who is the team’s libero, nicknamed Karasuno’s “Guardian Deity” for his agility and ability to keep the ball from touching the ground, and a third-year, Asahi, who is introduced as the team’s ace. There’s clearly a story behind why they aren’t on the team currently – Nishinoya refuses to rejoin the team unless Asahi is there, and is shown clutching a broken broom that Sugawara had glanced meaningfully towards earlier, and Asahi seems to be scared of something. While Haikyuu!! is definitely becoming more of a typical sports series, the energy it carries is still very different – all the characters are earnest and enthusiastic, and while Hinata and Kageyama are still the focus of both the team and the series, everyone else gets plenty of time to show off their skills and shine and develop, instead of just staying supporting characters. 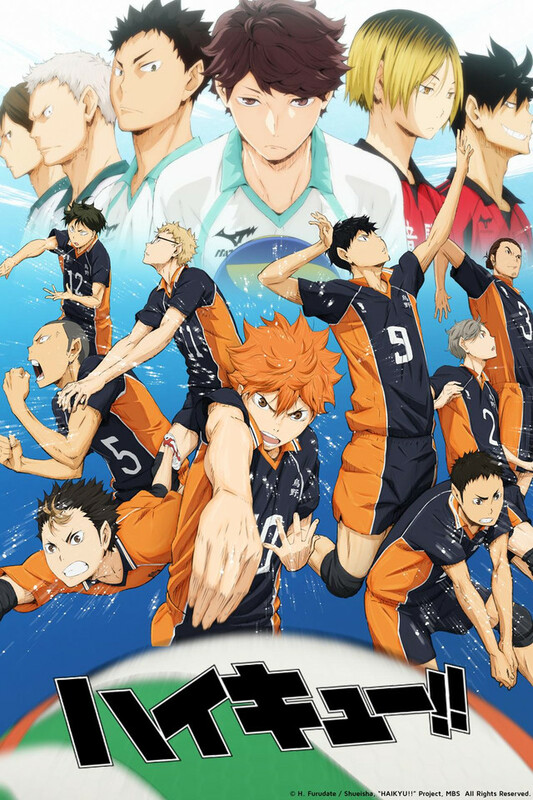 The animation also really supports this – Karasuno’s colors are orange and black, already making them stand out a lot, but all the quick motions of gameplay really bring everything to life – Hinata and Kageyama’s “quick strike” really feels like a stunning shock every time they perform it, and a ball spinning barely past a player’s face has all the intensity of the moment. Episode seven leaves off at the start of a set-up for what seems to be Karasuno’s rivals: Nekoma, a team from Tokyo, who are the “cats” to Karasuno’s “crows,” and rivals to push growth are rarely a bad thing in sports series.